I always love it when I stumble on a new (to me) small space stitch and it's more fun when it comes from one of my favorite stitchers. I just love this stitch. I named it the Diagonal Cross Stitch because of the gentle slope of the stitches. This stitch would be great for a window (as illustrated). It's also a great stitch for any area you want to recede. As an example, I shared it with a student for a small hill in the background of a country landscape. It would be a charming way to honor beautifully shaded clouds or small bodies of water. I recommend to use lightweight threads with a stitch this gentle. 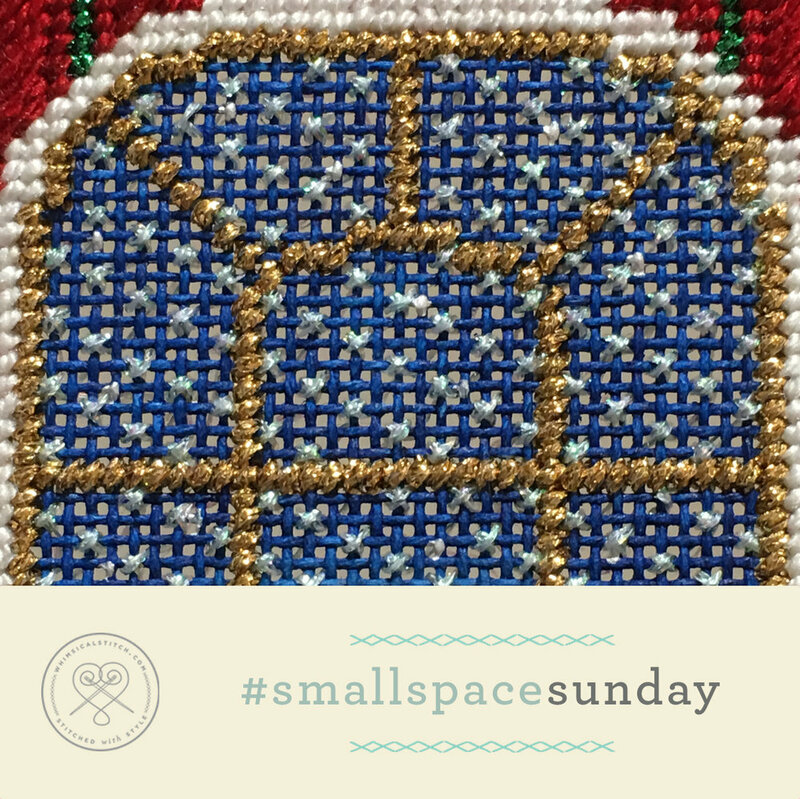 For example, the stitched sample uses Kreinik Metallics Very Fine Braid (#4). Depending on what you are stitching, consider Petite Silk Lame, Silk Straw, 2-3 strands of your favorite silk floss or wool.